LAS VEGAS — With the throng of tech bloggers covering CES, it’s not often that the heavily covered show hands us a surprise — but here’s one. 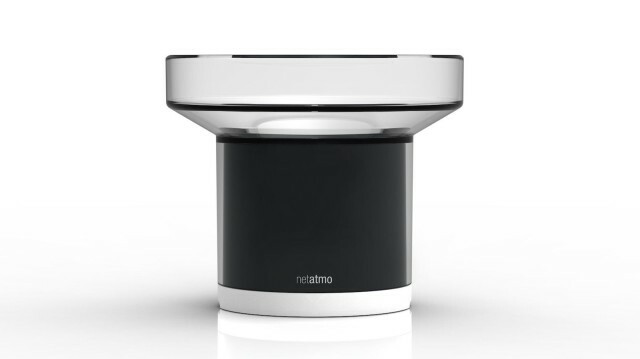 Netatmo, the French outfit best known for its fancy cloud-connected micro/personal Weather Station (and now also a device that measures your level of sun exposure), is about to add a hard-core new component: a rain gauge. Romain Paoli, product manager for Netatmo’s Weather Station, told us the rain gauge is an addition to Netatmo’s two other modules — one indoor, one outdoor — that measure variables like temperature, humidity, barometric pressure and air quality. The rain gauge adds additional rainfall measurements for hourly and daily accumulation. Like the data from the current sensors, the gauge will communicate with the cloud and most likely feed its data to Netatmo’s awesome micro-resolution, crowdsourced weather map. The rain gauge will be available as an add-on module in February or March of this year, and we expect it’ll probably carry roughly the same price tag as the $79 additional indoor modules.